We had a great time!!! Absolutely loved our room… the staff was very nice and helpful. We will definitely be back! --J&P Berun, PA P.S. Breakfast was great … LOVED the mimosas! We had such a great experience! We felt so welcome as soon as we walked in, and were treated like family. The room was so awesomely cozy, and we had a blast in the Jacuzzi! We love it here and definitely will be back, we are big fans of DCW wine anyway so we will always find a way here - can’t wait to stay again! Thank you so much for such a great experience, we will tell everyone we know! --N&L Franklin, PA P.S. Thank you for making it ok to drink at 8 AM!! The mimosas were dynamite! I want to live here! Our stay here so far has been fantastic, and we haven’t even made it to breakfast yet -- which I hear is amazing and delicious! 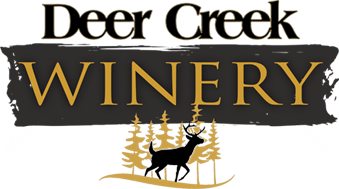 We spent our evening tasting the wonderful wines that Deer Creek Winery has to offer and we highly recommend the Fawn Catawba. The live music during the day and evening really gives the B&B an extra and personal touch! The gathering room made for a relaxing and enjoyable evening, listening to the live music and drinking some wine. The staff here are all incredibly helpful and kind - they’re simply fantastic and make our stay even better! We can’t wait for breakfast tomorrow morning with the specialty mimosas! We hope you all enjoy your stay as much as we have, we definitely cannot wait to return! --D&B Pittsburgh, PA P.S. The B&B and rooms are decorated to perfection! We have never seen such vibrant and thorough decor before at a B&B and it really adds another level to our stay here!